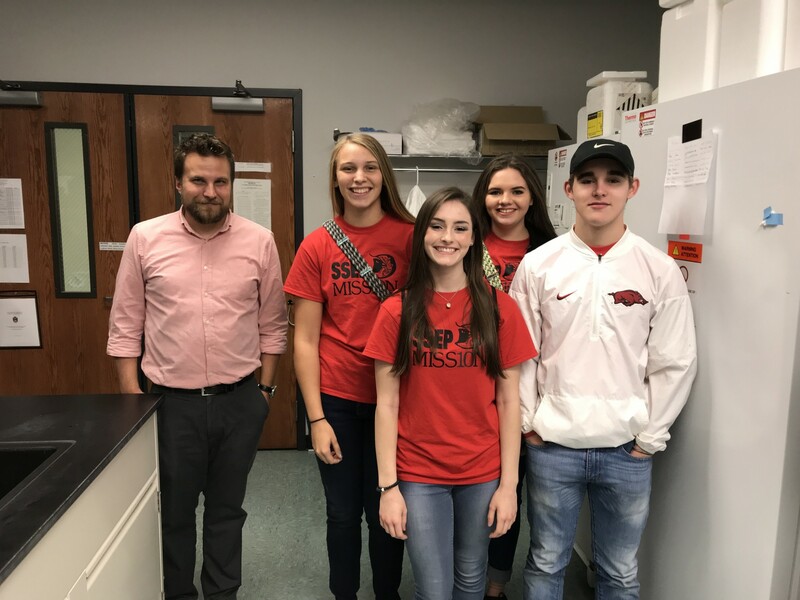 On Tuesday, October 10, four students from Camden Fairview High School visited Dr. Kyle Quinn’s lab at the U of A. 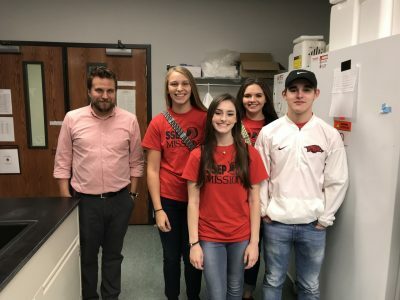 The four students—Lexi Betts, Hope Hesterly, Alexis Bryant, and Trey Jeffus—are all current high school juniors, as well as participants in the Student Spaceflight Experiments Program [or SSEP], a program of the National Center for Earth and Space Science Education (NCESSE) in the U.S. and the Arthur C. Clarke Institute for Space Education. Dr. Jeffrey Wolchok Awarded ABI Investigator Award! 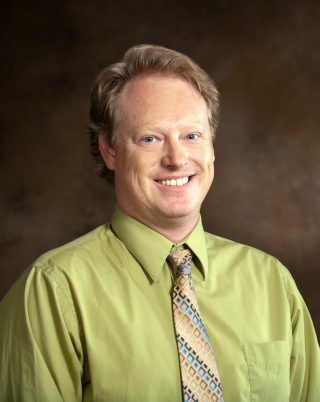 Congratulations to Associate Professor Jeffrey Wolchok, who was recently awarded an Investigator Award from the Arkansas Biosciences Institute (ABI), an agricultural and medical research consortium dedicated to improving the health of Arkansans. The Investigator Awards are designed to help enable researchers like Dr. Wolchok to further “explore many different body and cellular processes in their search for answers to challenging basic science and health related questions.” Dr. Wolchok’s particular research interests include biomaterials, tissue engineering and regenerative medicine, bioreactors and the influence of mechanical force on cell behavior, as well as the design of medical devices. Dr. Wolchok has been with the Biomedical Engineering Department since its inception, and was recently awarded the 2017 Departmental award for Outstanding Achievement in Service.